The Master Lock No. 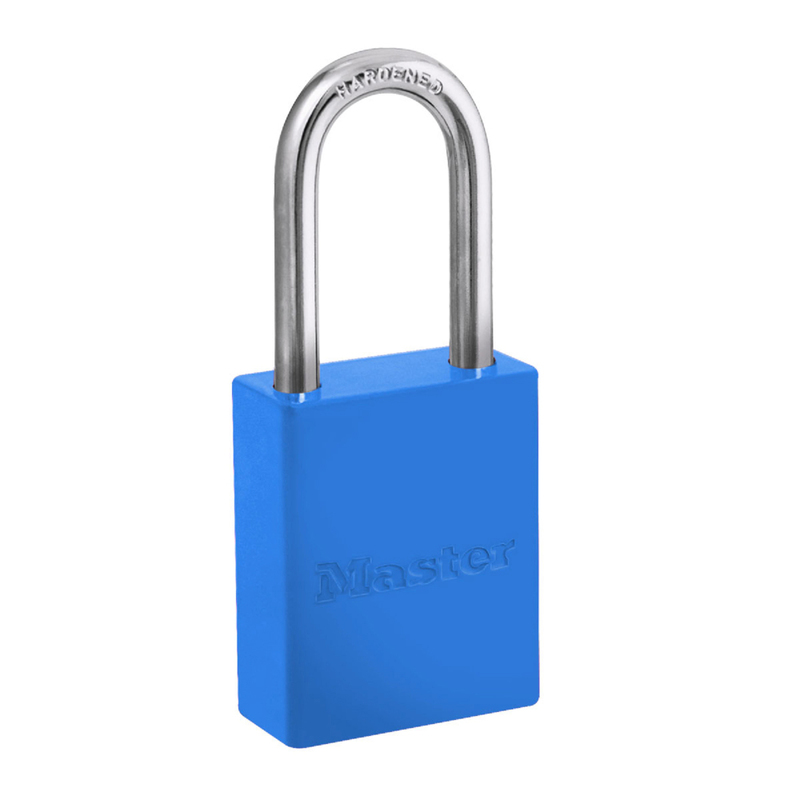 S6835LFBLU Aluminum Padlock features a 1-1/2in (38mm) wide blue powder coated aluminum body and a 1-1/2in (38mm) tall, 1/4in (6mm) diameter boron alloy shackle for superior cut resistance. Designed specifically for lockout/tagout applications, padlock features high security, reserved for safety cylinder with key retaining feature to ensure padlock is not left unlocked.